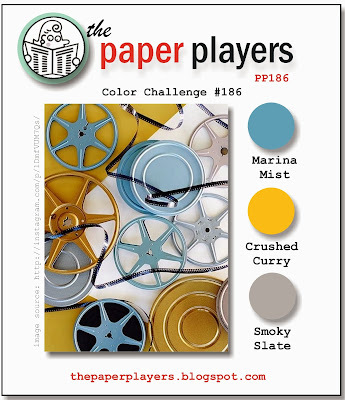 PP189 For You In Colors! 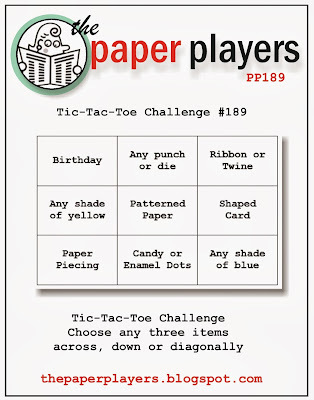 Since joining the challenges a few months ago, I have been waiting for one of these Tic-Tac-Toe challenges because they always look fun and you get such fun projects from them. Other than the shaped card, I was excited because I thought they were all so easy. 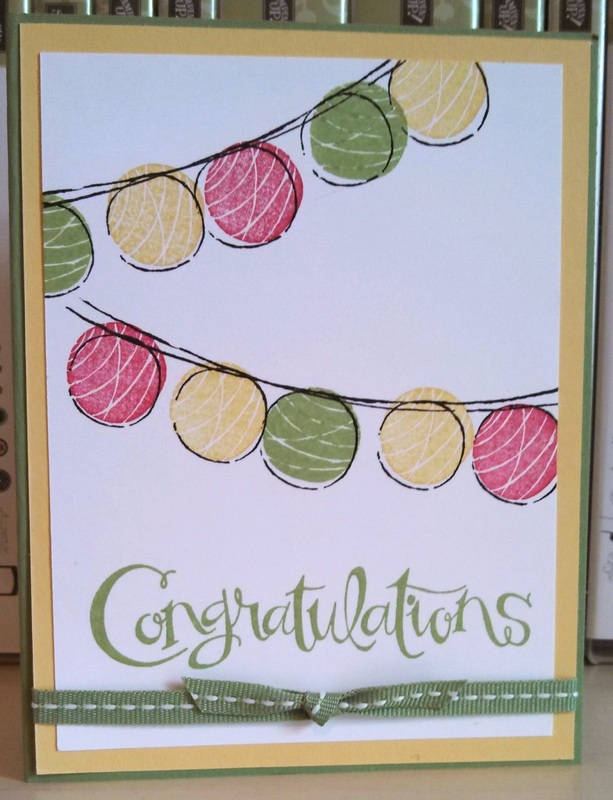 But the I thought I play for the challenge so went the last row vertically down-twine,shaped card, blue...love the results! 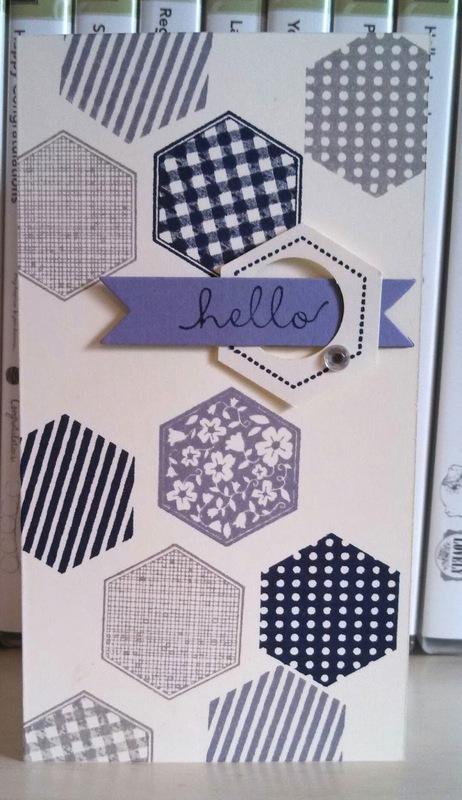 I decided to make a card with a base cut with the scallop square die. It makes a fun and cute size card! I have been wanting to use this pattern from the Watercolor Wonder DSP and like the way this all turned out. 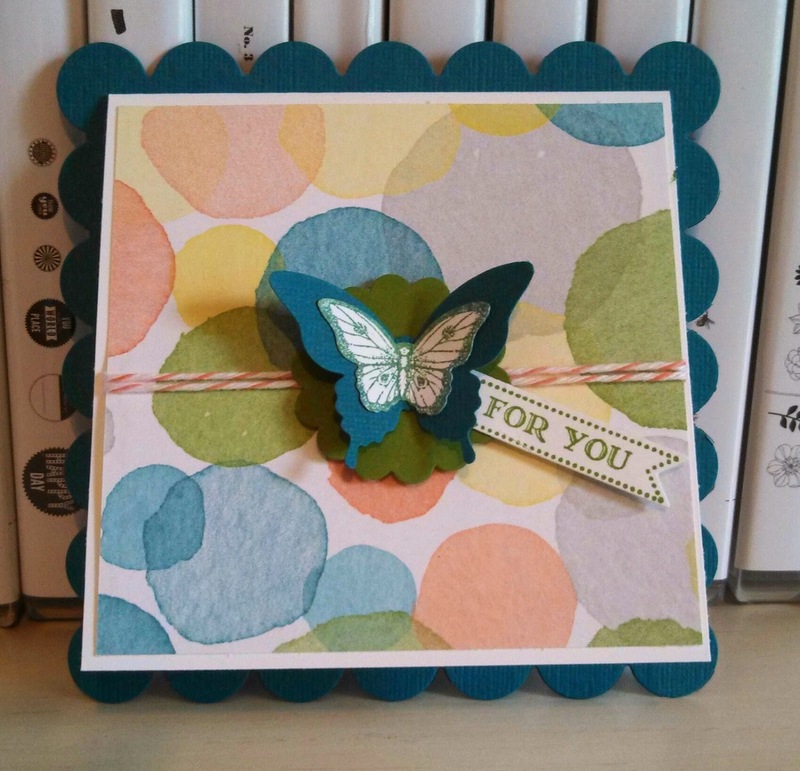 I sponged Island Indigo first on butterfly stamp and then some Gumball green ink to give it a unique color of blueish green. You can see a little inside in second photo, I stamped the butterfly again but without cleaning so it is a second stamp making it lighter. Using this card in my card class next week! Hope your day is fun-filled and thanks for stopping by! 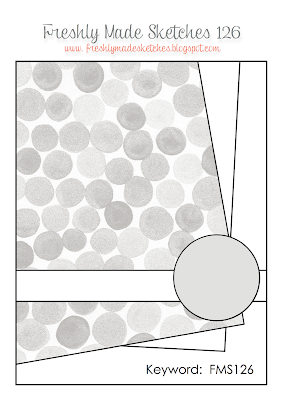 You make the base (in white here) and then attach to a card panel (in Crisp cantaloupe here). I used a 2 1/2' circle punch to make window. I hope your Sunday is lovely and thanks for stopping by! 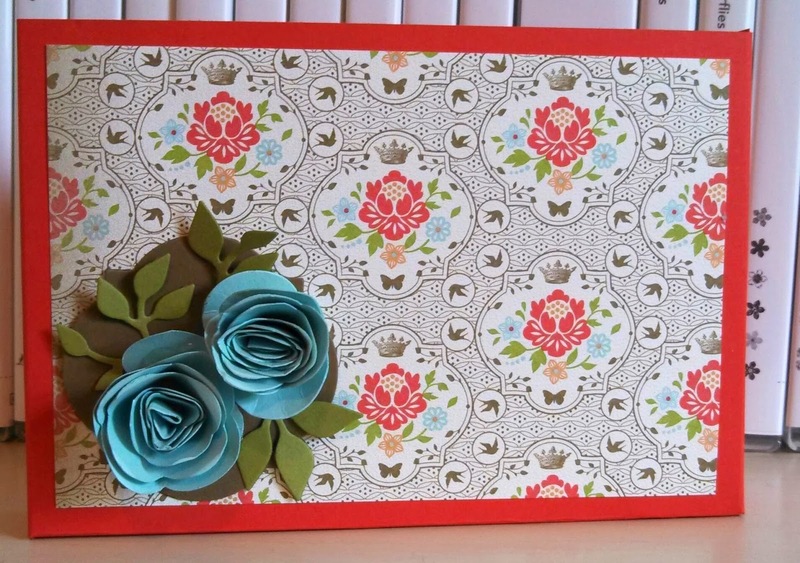 This is a special fold card/album we made this week at stamp club. I got this idea from demo Julie Warnick. She made it an album with photos inside. It stands up like this so it is a great way for the recipient to display the photos in small space. It can also be a card like above. Hope your Saturday is a blast and thanks for stopping by! 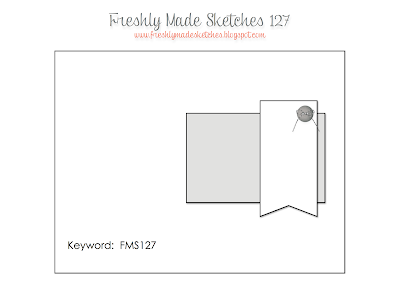 FMS129 Happy Birthday in Color! Great Sketch this week. I like how it turned out but it is not as i had envisioned it. Sometimes that happens! It was a fast card to make. I keep trying to emboss that strip of green but nothing looked right so left it alone finally! I hope you enjoy your Friday and thanks for stopping by! PPA197 A Floral Thank You! 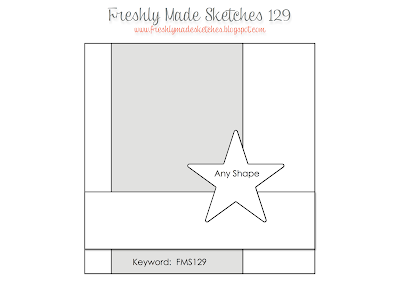 I was excited when saw this sketch challenge because I wanted to use this DSP for a card for my upcoming April card class. This fit right in and I love my new scallop emboss folder. I think this card looks better in person. The colors stand out much more vividly. I hope your Thursday is lovely and thanks for stopping by! I designed this card for March card class using a different stamp set. This time I added balloons from You're Amazing and a few banners with my Banner Blast set. 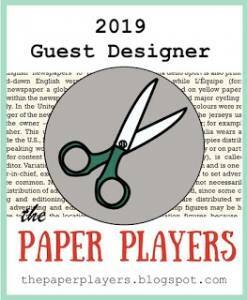 Fun sketch from The Paper Players this week! I thought of my new set, Hello, Sailor and made it work. The DSP here is busy but makes for a colorful back drop! I just went on a cruise this past week so still in a nautical mind set! 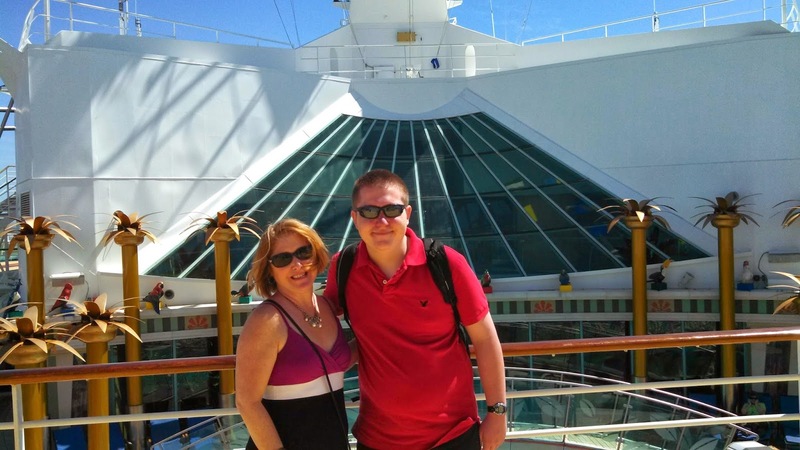 Photo of me and my son, Cole just after boarding the Royal Caribbean ship-Freedom of the Seas! 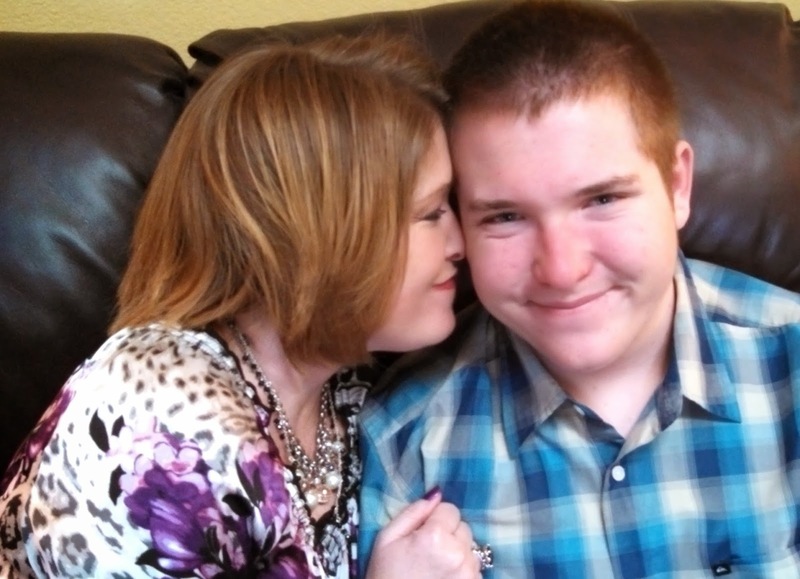 We went to celebrate my son's 16th birthday! Have a ship shape Tuesday! Thanks for stopping by! Simple sketch from Freshly Made Sketches was a nice welcome home. I have been away for a week on vacation to the Western Caribbean, Love! I needed a easy, quick sketch to make for this challenge in a short amount of time before the deadline today! I started by grabbing a color of ribbon i had lots of and then took it from there. I would not have put Strawberry with this green but I had one of these deco labels cut and laying on my desk so I worked it in. 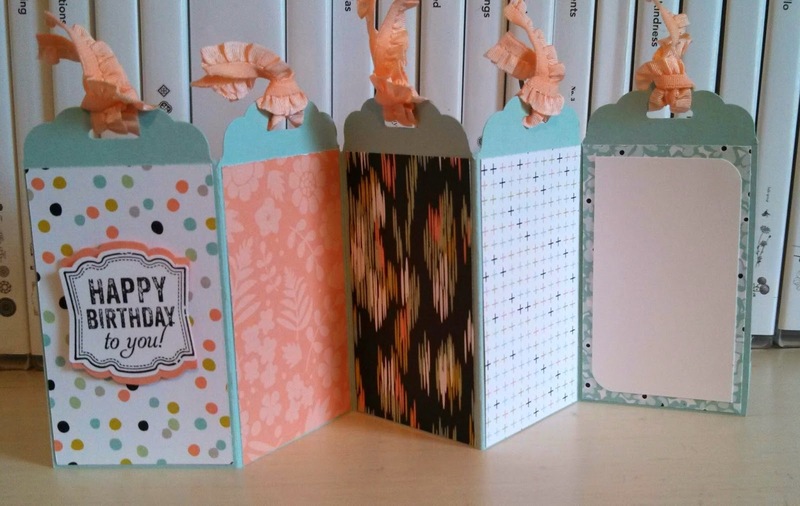 I did not get the hello spring sentiments on the bottom straight so they look like they are springing! This is for a sketch challenge but ended up a color challenge for me! I started with a piece of DSP of Strawberry Slush but then when got to the decorating I had hard time deciding on colors to compliment my Strawberry color. Finally settled on two colors in the DSP selection, Daffodil Delight and Pool Party. I have not inked up this stamp set in a while but since it went with the DSP, it was an easy choice. 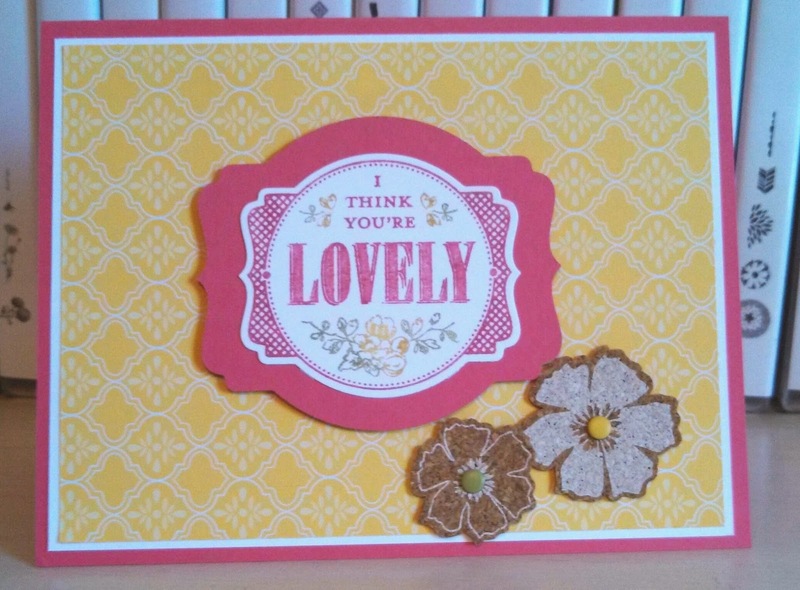 This is card from card class in February but using a different stamp set for the sentiment. 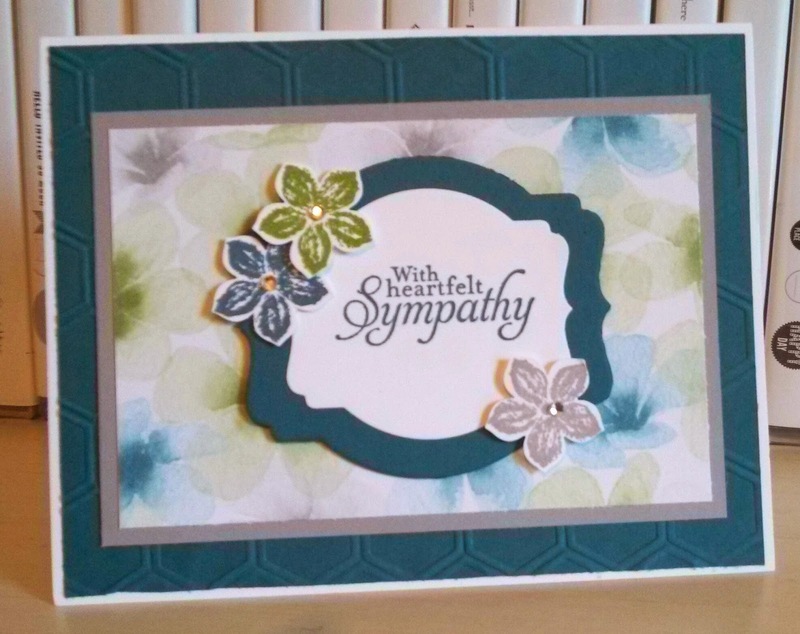 I like to keep a sympathy card on hand and I love the softness of this DSP and colors combined. 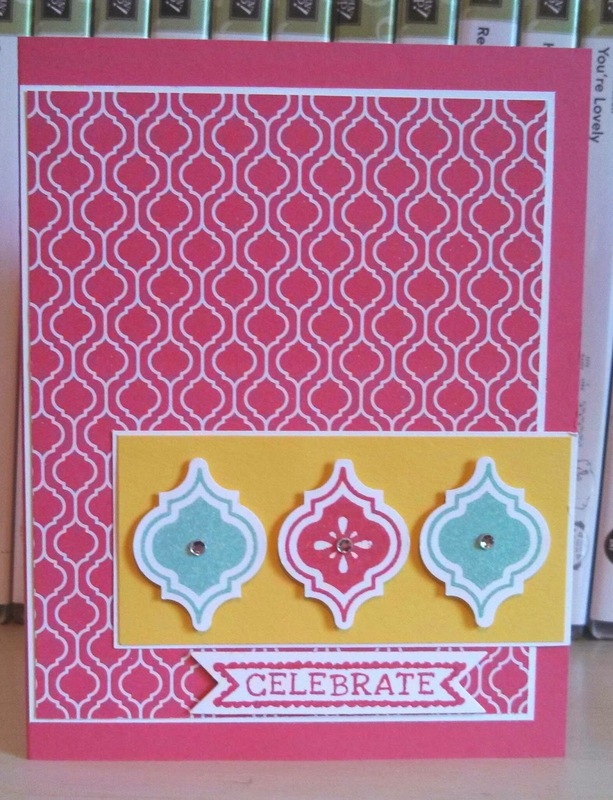 I decided to change up the base color and stamp set using the layout from yesterday's card. 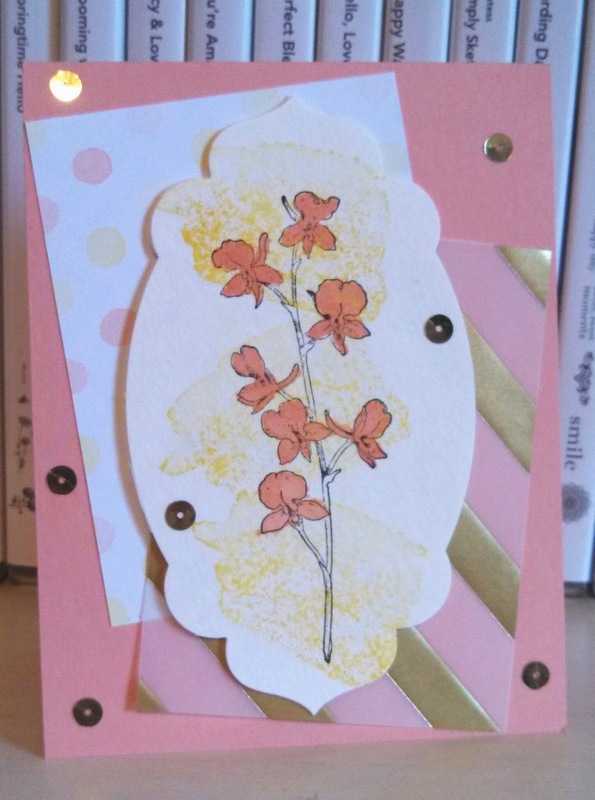 This is another similar to a card I posted recently from my March card class except I changed the flowers and background behind them. This is the same stamp set-Happy Watercolor but it has two different flower stems. 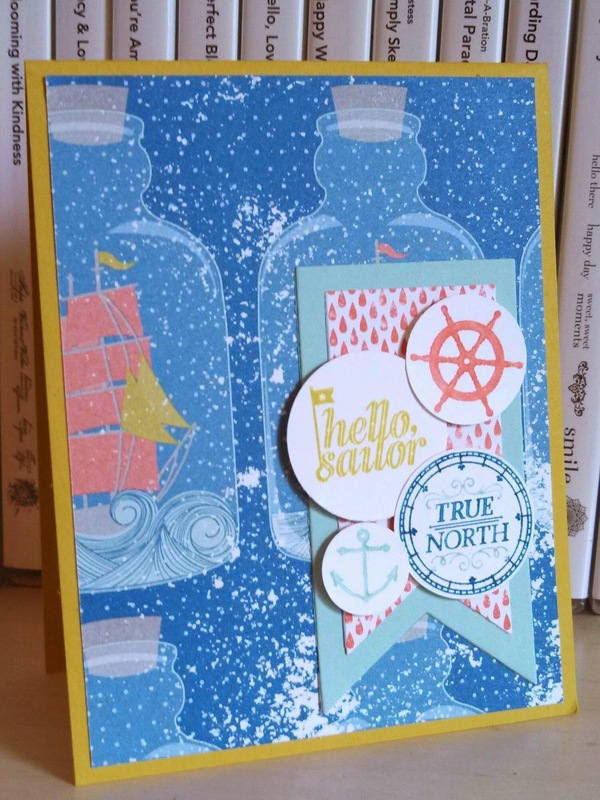 I also used the background stamp in that set that looks like watercolor. I did not use a sentiment on the front so I can use for any occasion! Hellllo! I wanted to make a sweet card for my college girl. I wanted to use these cork flowers laying on my desk from the SAB accessory pack as well. Combined the two together and used a candy dot in the center of the flowers for a little added color there! Going for a theme here! Last card design from the card kit for me! 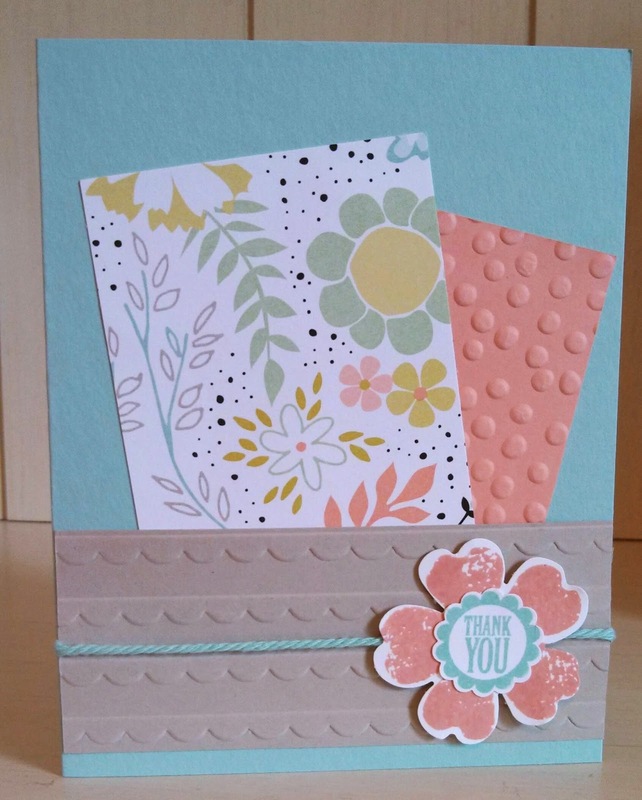 This is the Happenings Simply Created Card Kit! Great value at $14.95 for 15 cards! You could make so many different versions and add other elements to this but these will be great for me to have a quick thanks in my stash! 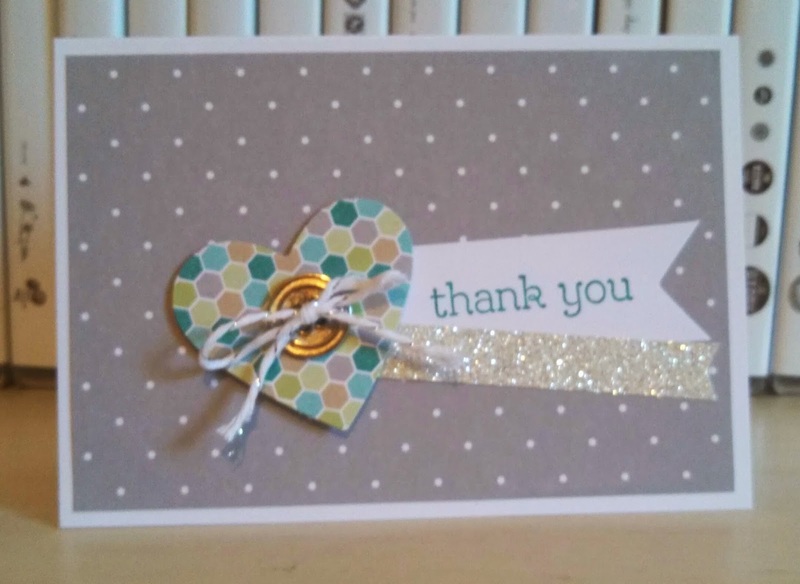 Again, everything here is in the kit except the thank you stamp found in the Happy Watercolor set. Another card from the same card kit I posted about yesterday. Everything is pre-cut making it easy to assemble! Love they threw in silver glimmer paper banners, too! 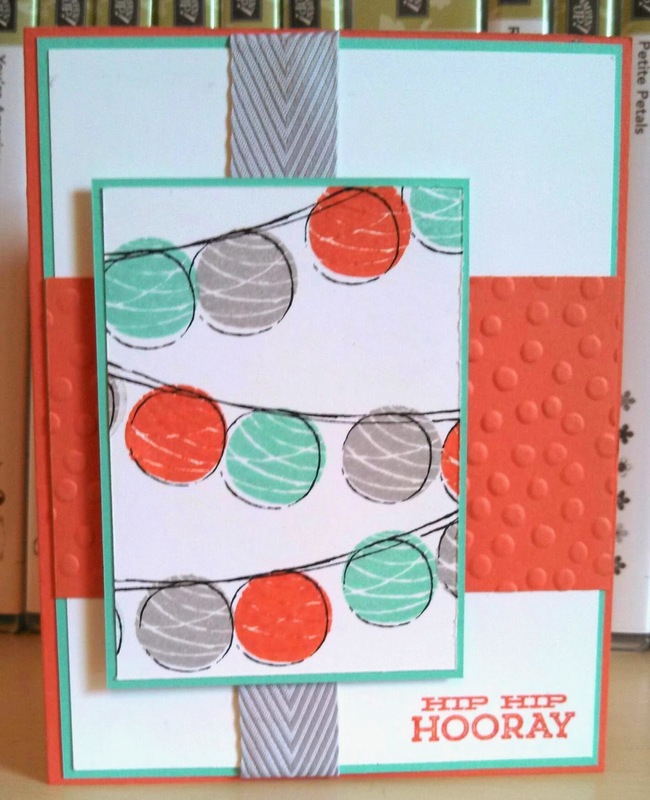 I stamped this in Strawberry Slush ink with the Happy Watercolor stamp set. Fun! Have a Happy Monday and thanks for stopping by! 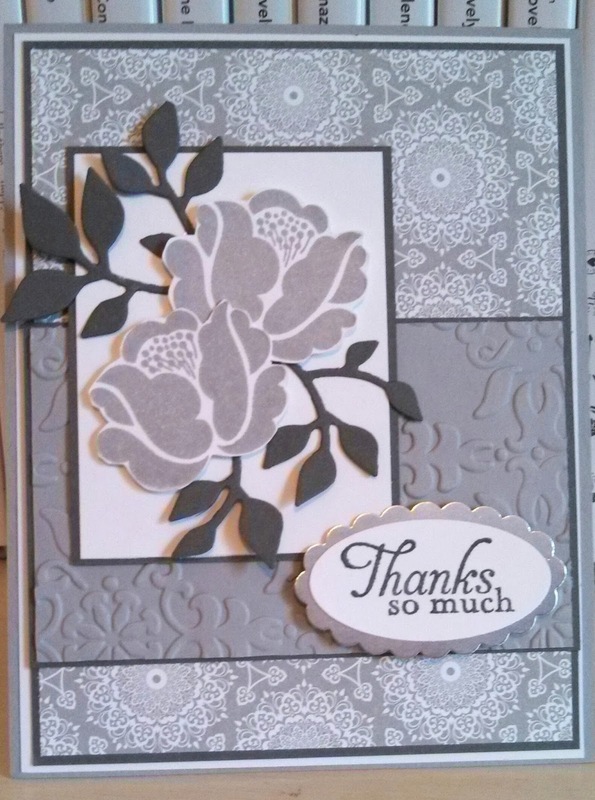 Fun card kit with lots of Smoky Slate patterns! 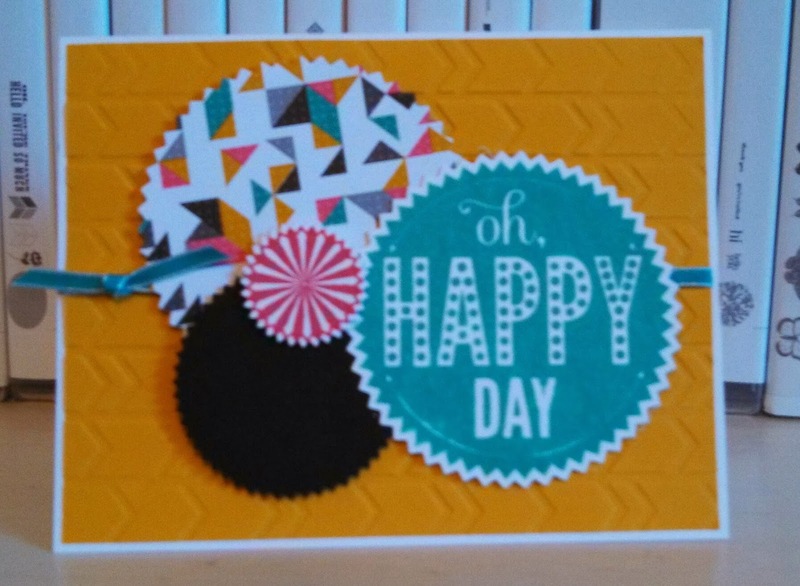 Could not resist so bought the great kit- Happenings Simply Created Card Kit on page 31 of 2014 Occasions catalog (item # 133329). Makes 15 cards for $14.95. 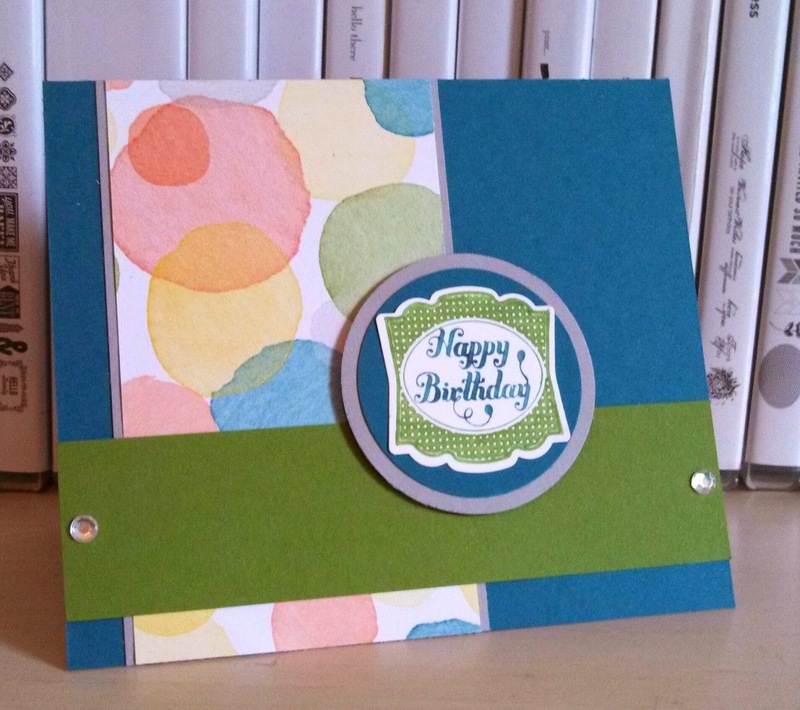 This is my first card and everything I used was in kit except the stamp from Happy Watercolor stamp set. I also used Strawberry Slush ink for the thank. I will have these ready on hand for thank yous! 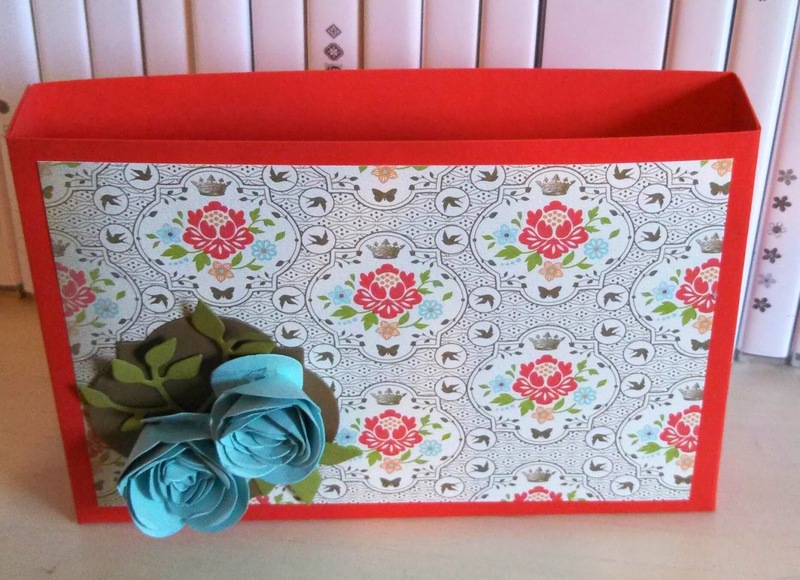 I made this open-ended box for my card class last week to hold the cards my guest make and then take home. It does hold ten cards and their envelopes. 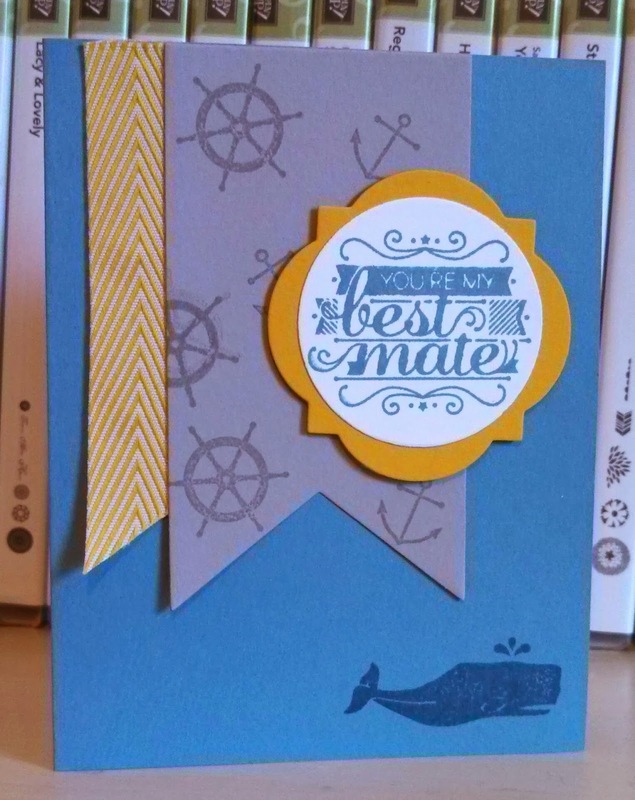 I used vintage (which is my fancy word for retired) DSP and card stock for this project since they are gifts. 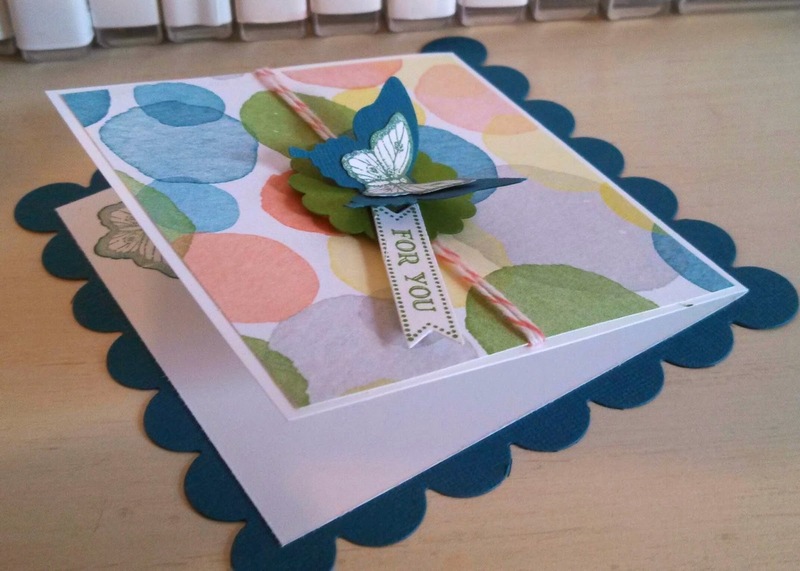 I also used for the first time, my spiral flower die ($17.95 #129379) from the Occasions catalog. I finally got the hang of it after so many flowers! I used a hot glue gun to attach the flower to its bottom and then to the box. I hope you have a lovely Sat. and thanks for stopping by! This layout was great and I knew what stamp I was going to use. But when got to the end, I was going to place a button on top with twine but when looking through by button containers I saw the wood pieces I have never touched. 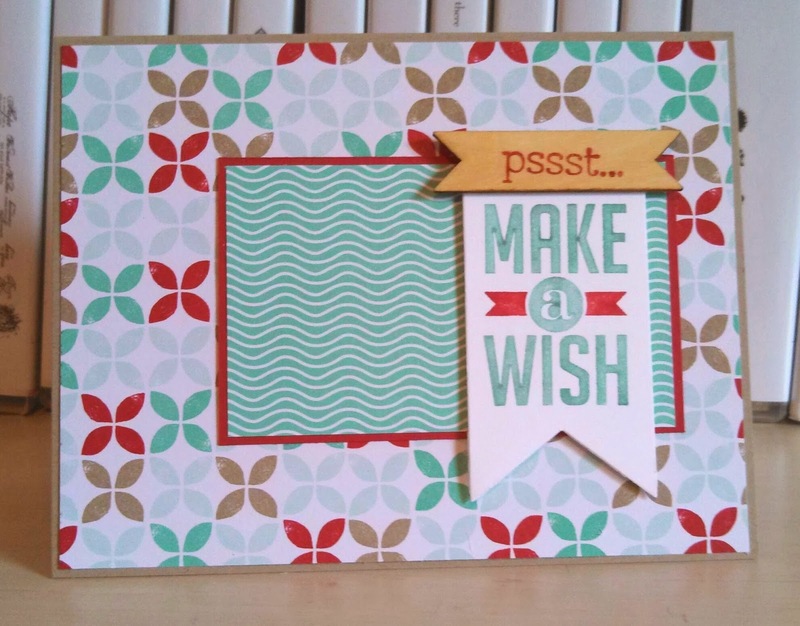 Since the color lended itself to the card, I used it with the pssst. stamp in the Happy Watercolor set. I hope your Friday is awesome and thanks for stopping by! I have to admit that I have no idea the last time I touched the color So Saffron. I only own a ink spot of it and not a full pad! I did not think I had any card stock in that color either but found a few sheets to my surprise! We just used this set in a card class and I remember saying to one guest that you can really use any colors with this string of lanterns! Well, glad I remembered my own advice and it worked for this color challenge! 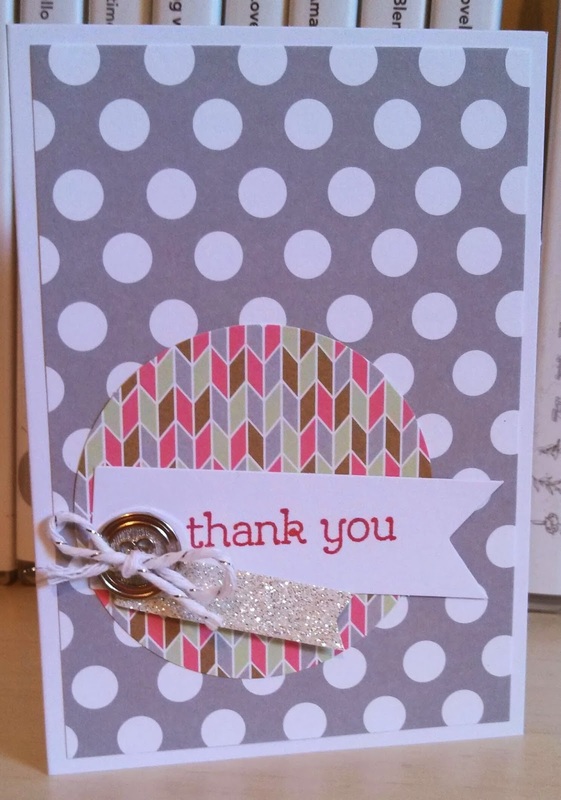 This is the last card from my card class last week. 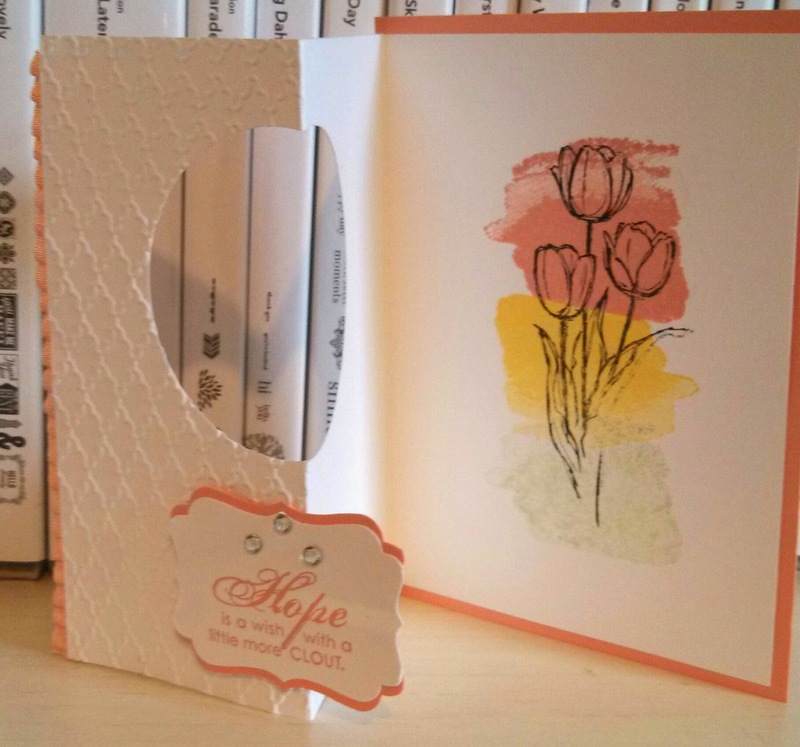 I really want to show the Scallop Tag topper punch off and the Petal parade stamp set from the SAB brochure--this is a set you can earn free with a $50.00 order of any SU! product. I love houndstooth and have been saving this paper. The soft colors look even better in person. 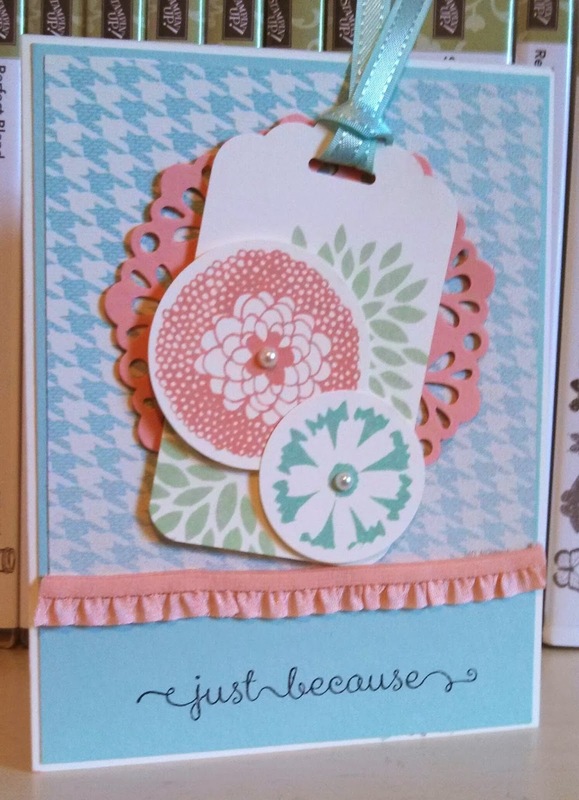 This could be any occasion and I love the script on the just because! My first time using the new set Hello, Sailor! I will be designing another card using this set for April card class! Great color challenge and worked well with this set. Hope your Tuesday is the best! Cole Ellard is 16 today! Where did the time go? I love the young man he has become and cannot wait to see what awesome things God has for his future! Here is his birthday card. 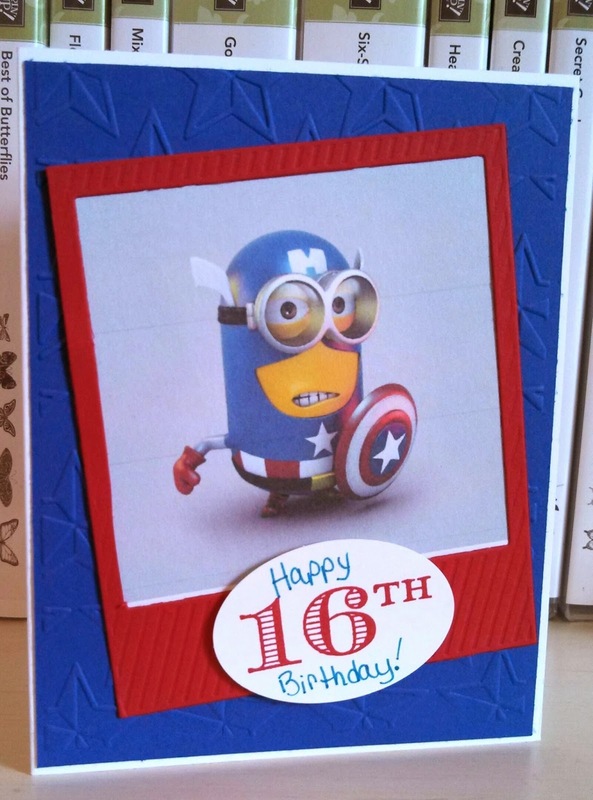 He loves Captain America (and is excited the new movie will be out in less than a month) and the minions. So found this image online and let it rock his 16th birthday card! Have a amazing Monday and thanks for stopping by! I decided to go with the one on the left so i could use the Bermuda Bay ribbon. 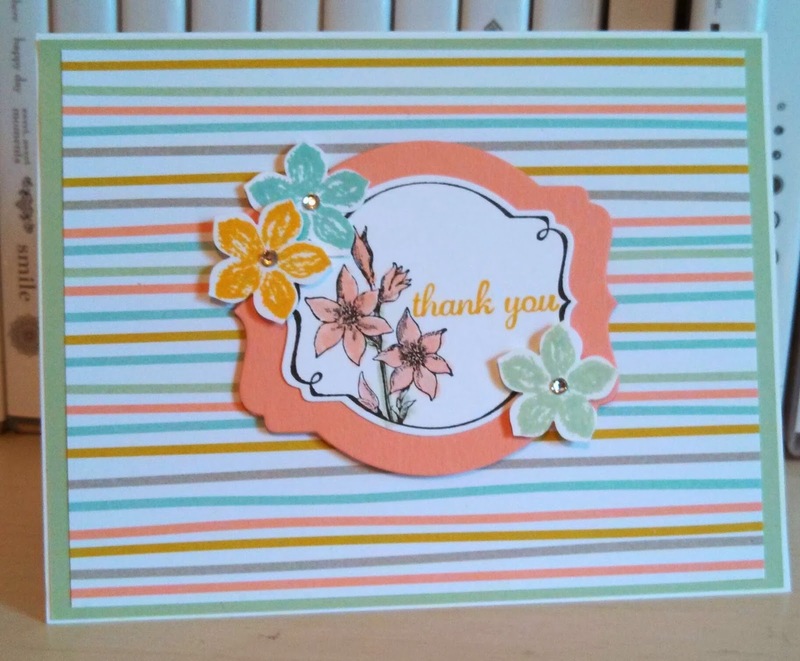 I have another card from my card class this past week. This one I cased somewhat from a very talented demo, Cindy Schuster at nutmegcreations.blogspot.com. 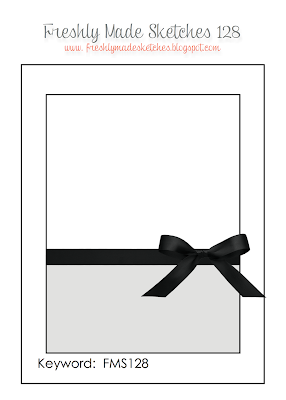 I have wanted to design a card for class using the gold vellum. Love the way this one turned out. Have a lovely Saturday and thanks for stopping by! I really liked this sketch challenge..thank you Amy O'Neill. I just have so much DSP to choose from right now. I picked the Sweet Sorbet since I have two packs (some cut already) of the this DSP. It also gives so many colors to work with. I just happen to have the black starburst cut and laying on my desk along with the strip of Pool Party so it came together quickly. The paper is so fun it was screaming Yippee-Skippee!!! Hope your Friday is awesome and thanks for stopping by! Love these colors! I got my idea from the 2013-2014 Annual Catalog on page 125. I could not think what to do with this color challenge and then I started flipping through the catalog for ideas/inspiration. Shapes lend to using any colors together. I made this card for my mom. I send her a card each week. So that is why there is a hello sentiment but this would be great for any sentiment really. 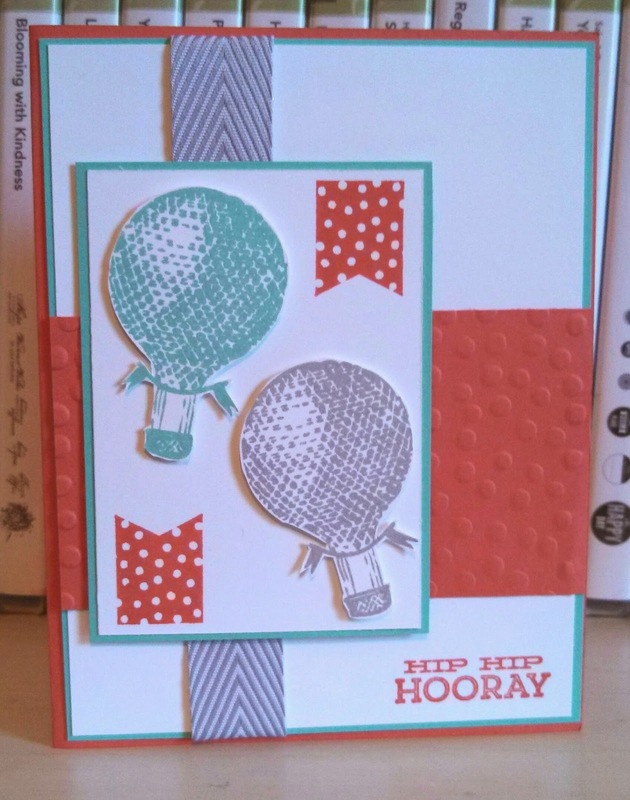 This is another card from my card class this week. 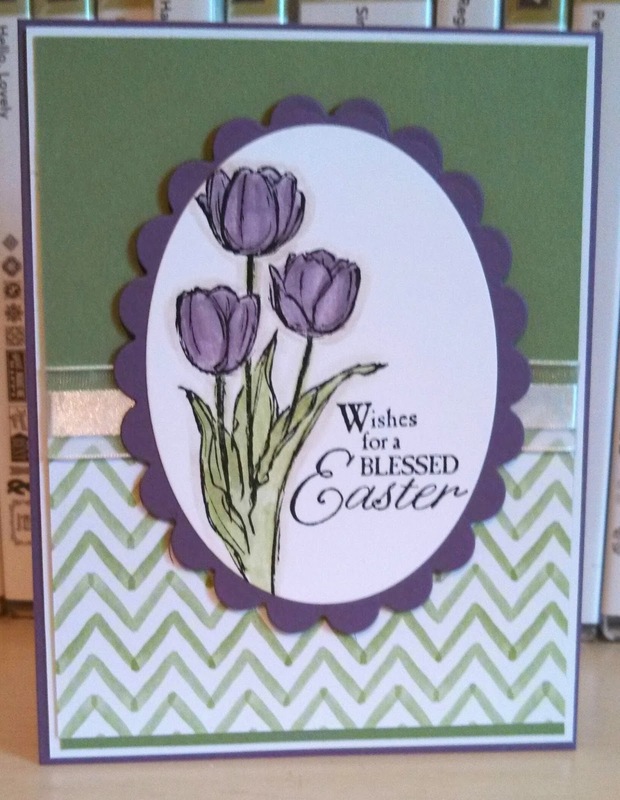 I knew as soon as I saw the Blessed Easter single stamp in the Occasions catalog that I would color those tulips in Perfect Plum and Wild Wasabi! They turned out more beautiful than I have pictured and I was happy to use the Watercolor Wonder DSP for a fresh, light design. 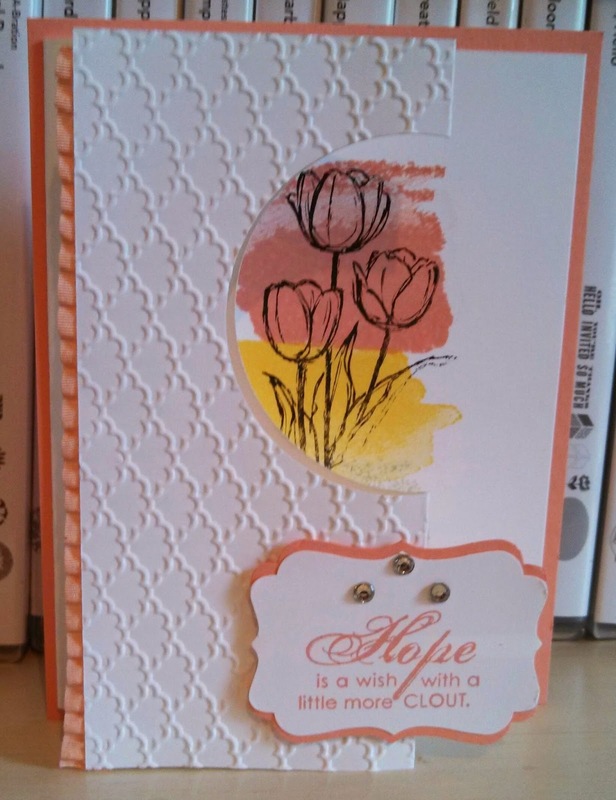 This is one of the cards we are making tonight at card class. 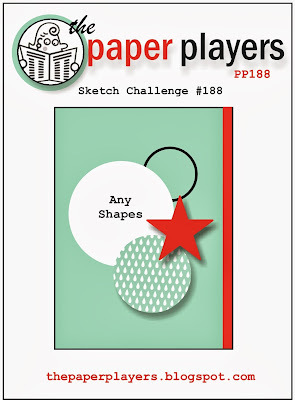 I got the sketch from a combo of a PPA challenge a few weeks ago and my pal, Brian King of stampwithbrian.com. I changed the color combo also. 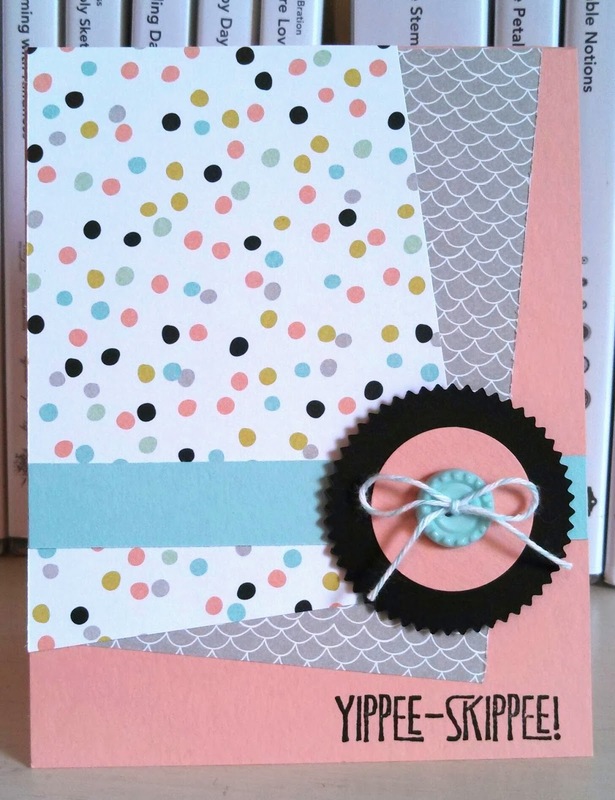 I wanted to use my Smoky Slate chevron ribbon and liked this color combo for a bit of a masculine feel. The sentiment gives it a young feel. Love the tulips! I have made an Easter card with them for my card class this week. I will showcase that card on Wednesday. 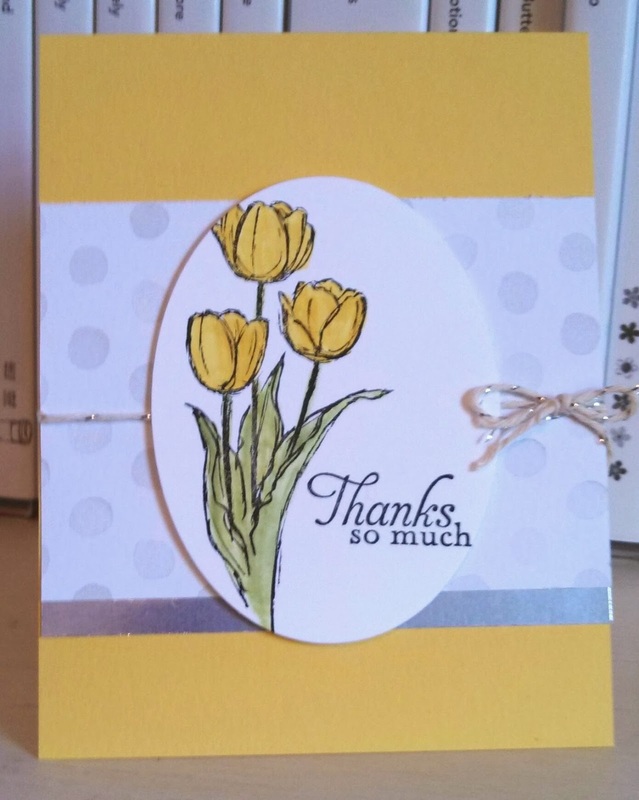 But I wanted another chance to color them and think yellow tulips really sing spring! I used a blender pen to bring the color to life! 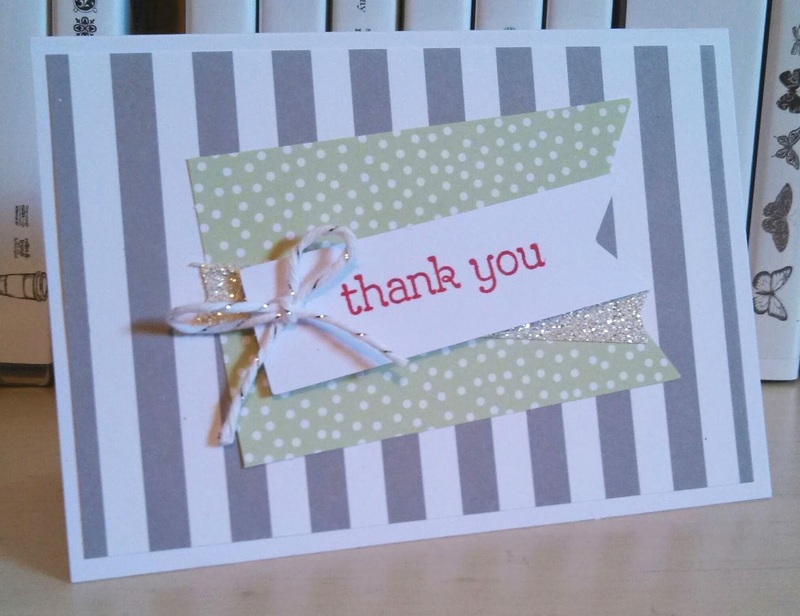 I have made several thank you cards over the last week as I have been treated to birthday lunches, dinners and gifts. My family is not local so I am very thankful for my friends who are like family to me! 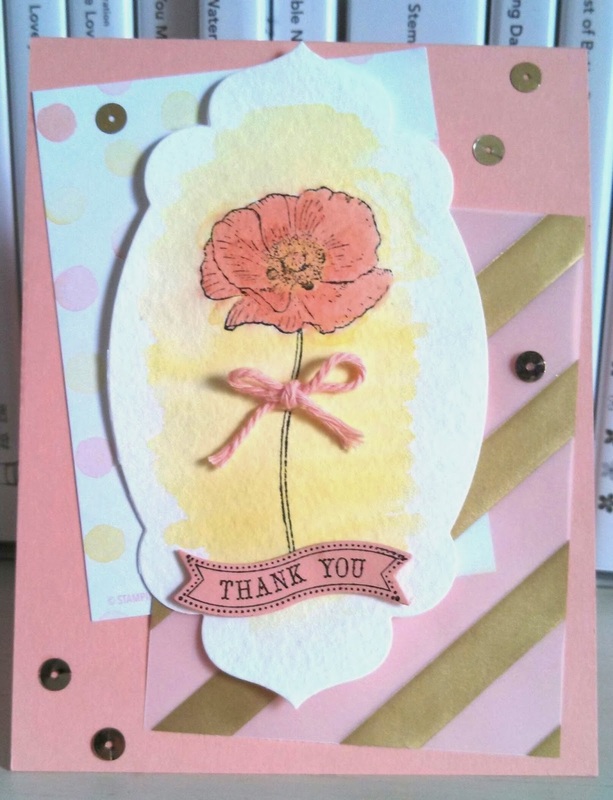 I love the soft colors in the DSP and I am enjoying using the Petite Petals set and punch! 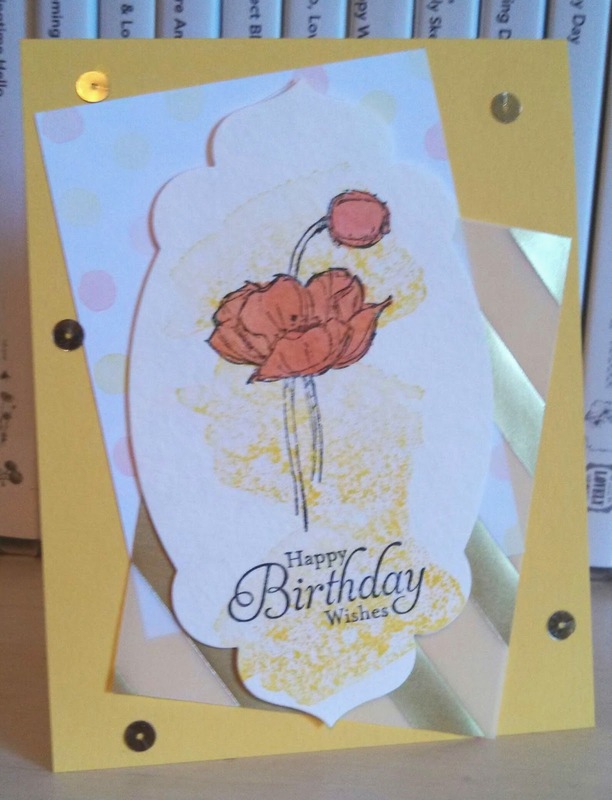 Very easy to make a good card great with a few flowers popping up! I wanted to share a card I made for my friend who loves gray. I cased it from a card by Narelle Farrugia at narellefarrugia.com. She used different colors and banners for the sentiment. I have had two weeks of celebrating my birthday with friends taking me to lunch and dinner and so I have made several thank you cards but this one is my favorite.